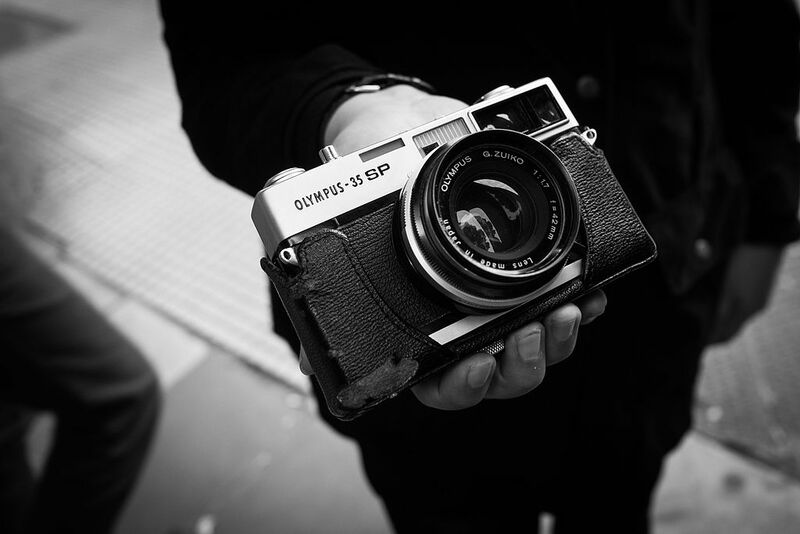 Home Analogue lifestyle The perfect 21st Century film camera? The perfect 21st Century film camera? There are tens of millions of film cameras still working. But even so, the clock is gently ticking. Some of the models from the golden age of film cameras still soldiering on were made in their millions, others only a few thousands, but they share one issue. Spare parts stopped being made decades ago. Now. The dwindling cadre of trained repairers have only one option – sacrifice one or more examples to restore just one back to working condition. With each passing year, there will be fewer working examples of each and every camera model. At some point, to sustain film photography into the next few decades, there will need to be new film cameras. The range of high-end 35mm film cameras still in production has dwindled to Nikon’s F6 and Leica’s M-A rangefinder, a camera without a meter that will set you back £3,700 – and that’s before you even stick a lens on the front. At the other end of the scale is Lomography, occasionally interrupting its assembly line of La Sardinas and Lomo Instants with more noteworthy models like the LC-A 120. There have been two new 35mm film camera projects announced in the last 18 months. 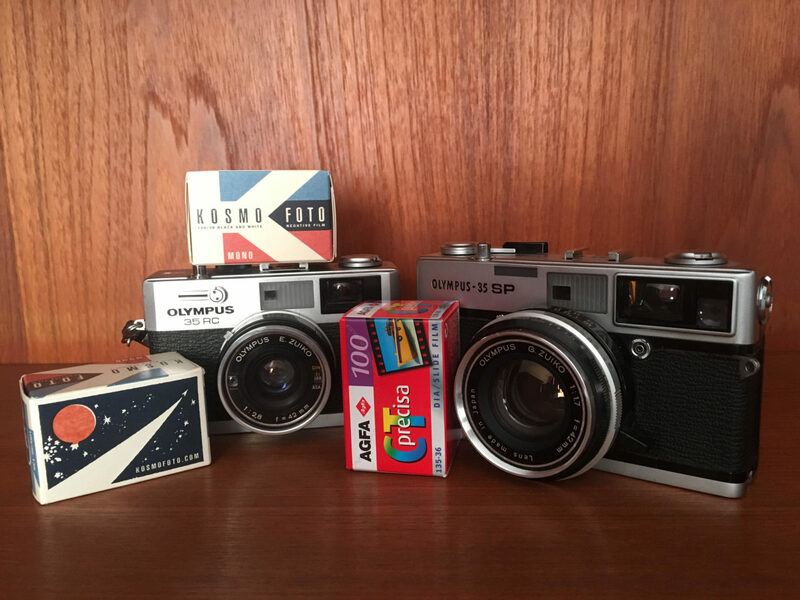 In September 2017, Kosmo Foto reported on Bellamy Hunt from Japan Camera Hunter’s announcement of his intent to produce a new premium compact camera project, fuelled by the frankly fantastical prices that high-end compacts like the Contax T2 are fetching (read more on the premium compact bubble here). Hunt’s camera, according to the 2017 plan, was to be an autofocus compact model that would cost several hundred pounds and could perhaps include a facility for it be activated by remote control from a smartphone app. 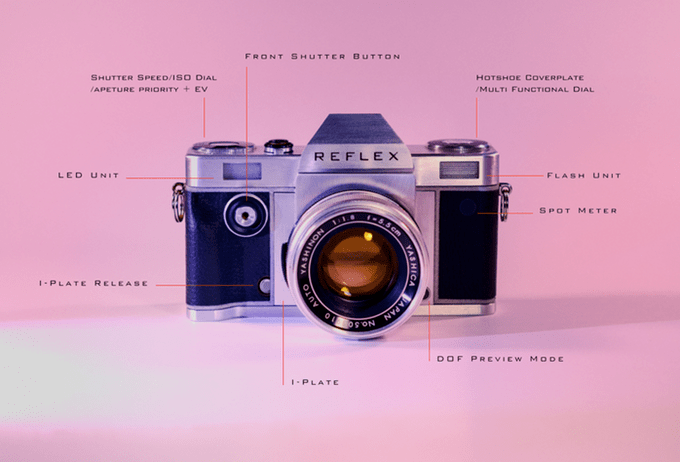 Mere weeks later, a Kickstarter campaign launched the Reflex SLR on the world, a modular 35mm camera that would allow you to change film backs and even lens mounts. Though the campaign raised some £130,000 and its Kickstarter page projected a launch date of August 2018, there’s been no sign of the camera as yet. At last September’s Photokina, Reflex were instead showing prototypes of a range of prime lenses that could be mounted on the camera when it is finally released. A high-end autofocus compact would certainly gain traction with those wanting a Contax T2-lookalike that wouldn’t cost them £1,500 and might still be repairable in a few years’ time. Reflex’s design is ingenious, and the accompanying lenses are fantastic (Kosmo Foto had some hands-on experience with them last year). Their SLR is likely to retail for around £400. Even with the price of popular SLRs rising, that’s still enough cash to get you a Nikon FM2 and a Canon AE1, and very possibly some change left over to spend on film. There might be another option. And one camera company excelled with just such an idea nearly 50 years ago. 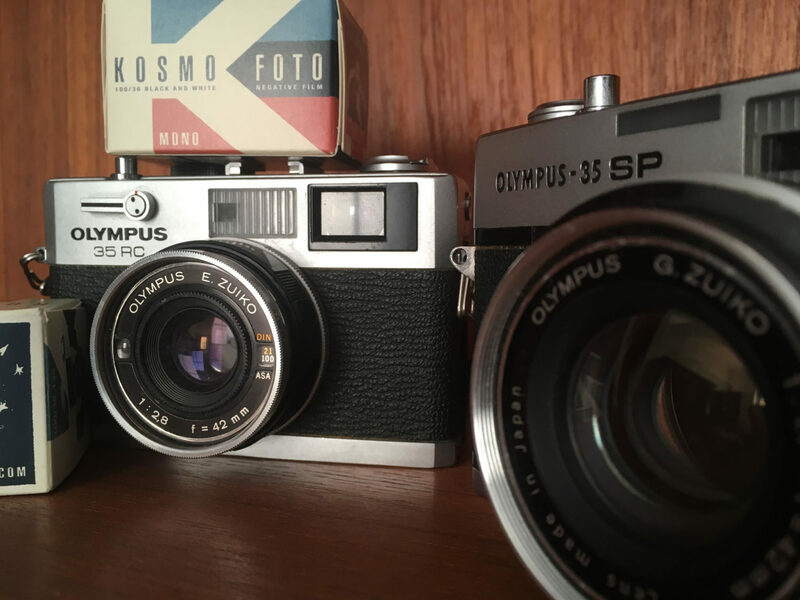 In 1969, Olympus had already released one of the most successful 35mm cameras ever produced – the snap-happy Trip 35. It also saw a gap in the rangefinder market, one dominated by the high-end Leica M-mount range. Olympus introduced the first in a range of superlative rangefinders in 1969, all of them available for the fraction of the price of a wallet-busting Leica. The 35SP was a refinement of an earlier rangefinder released in the mid 1960s, the 35LC It sported a seven-element 42/1.7 lens, a metered-manual mode (most other contemporary cameras forced you to take a lightmeter reading in automatic and then switch back to manual). Even more noteworthy was its spotmeter, allowing much more accurate metering in difficult conditions, the kind of feature usually only found with high-spec SLRs and studio-level handheld lightmeters. The 35SP was kept in production until 1976, but before it bowed out it was joined by a pair of other rangefinders. The 35RC, launched in 1970, was a pint-sized rangefinder about the size of a Trip 35. But instead of a viewfinder and distance settings it featured a bright, accurate rangefinder and an ultra-sharp, contrasty 42mm f2.8 lens. The 35RC also boasted an auto-mode – set the lens on a ‘A’, choose a shutter speed on the top dial, and the camera would choose the appropriate aperture. This shutter-priority set-up was perfect for street photography. Hot on the heels of the 35Rc came the 35RD, a refinement of the 35RC which boasted a 40/1.7 lens. All of these cameras were designed to be easy to use – they all boast automatic settings and keep the amount of dials and buttons to a bare minimum. The bodies were made of metal and there was little plastic, and in another stroke of genius Olympus put the metering cell for each of these cameras in the lens barrel, meaning you could pop a filter on and the camera’s metering would take it into account. Try doing that with a Leica M6. More than 40 years on, these cameras are hugely popular, and still very useable (only the 35RD has a common issue, with the helical grease from its focusing unit often separating and bleeding into the lens shutter and the aperture blades). But, like every other classic Olympus, Pentax, Contax and Konica, there’s a finite number left. An expensive autofocus premium compact camera will be equally expensive to produce thanks to its electronics. Delete the need for autofocusing and you therefore make the camera a) simpler to produce b) more robust and c) easier to repair. It would be cheaper to build a camera like this out of plastic, but given the small size, it’s probably not a corner that needs to be cut. Leave the plastic fantastics to the Lomography school. The camera doesn’t need any kind of remote control function that you can click with an app on your phone – this is an added complication that will make the camera more expensive and more fiddly to repair. How much should a camera like this cost? The outlay for anyone producing it is likely to be high enough that it will be over £300 (you’re not going to be selling as many as you might have if you were making it in the 1970s, either). Cheap? Not exactly. My 35RC cost me £40 when I bought it at a camera fair 10 years ago, before the film photography rebirth happened in earnest and before the film-snapping community at large cottoned on to what great cameras these 1970s rangefinders are. But a lot has changed in the last 10 years. That camera works perfectly and will be easily worth £100 would I want to sell it. The 35SP is worth closer to £200. Any working examples will be worth a lot more than that in another five to 10 years as the herd of useable cameras dwindles even further. Why does the price keep going up? Because people want to shoot them. Like good rangefinders are, they’re easy to use, quiet, and blessed with fantastic lenses. The ability to make a camera like this (or some of the other fantastic 70s rangefinders like the Konica Autos S3 or the Canonet QL17) hasn’t gone away, not yet. But it requires the will to design it and make it and release it. My bet is, there’ll be an audience to welcome it. Would I buy one? You betcha. I agree, creating a new high-end point and shoot sets up the same problems a few years down the road that the Contax T series faces, electronic failure. To recreate these cameras will be very expensive, and I have chatted with Bellamy about finding manufacturers. I think making a modern compact rangefinder would be cheaper, and allow the inclusion of a higher quality lens, at a lower price point. But Bellamy is determined, and has achieved so much that I feel he will achieve his goal, I hope he does, and wish him success. Not knocking what Bellamy’s planning for one second, I think he’ll definitely find a market. It’s one solution to kickstart film camera production again, but there are others too. Well, the SP has one of the loudest shutters among the many leaf-shutter rangefinders I’ ve owned and used. Certainly less noisy than an SLR, but not really quiet, which was the main reason I got rid of it in favor of the earlier 35LC which is a much more straightforward and quieter rangefinder with the same 7-element lens. There is also the LomoSimple “re-useable” disposable camera – basically a disposable camera that you can reload. It takes decent pictures (although enlargements aren’t always the best).